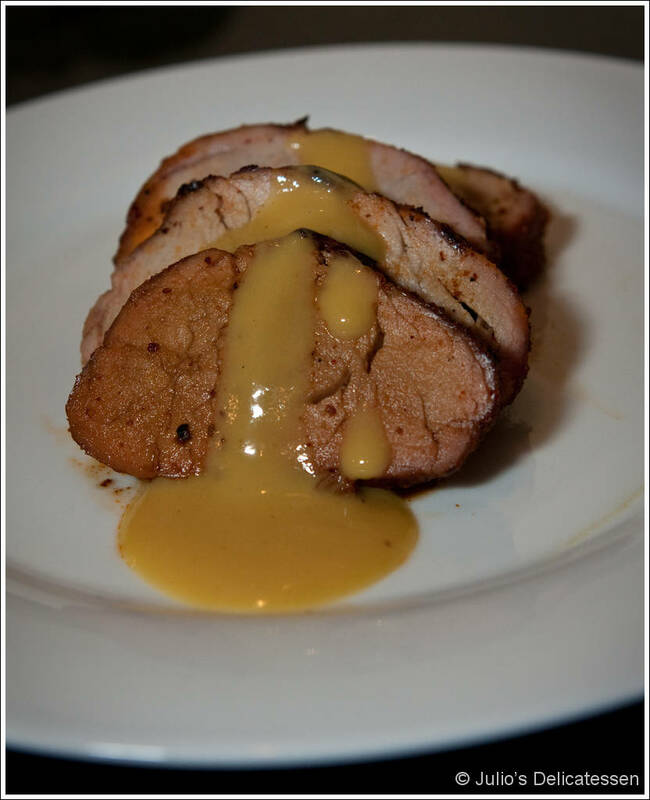 Pork tenderloin is one of the easiest and best cuts of meat for the grill. It’s lean, cooks evenly, and is just the right size for a small family (or, in our case, a medium-sized family when the kids are still little). Any kind of rub will do here, though I am particularly fond of the Tom Douglas rubs. Recipe inspired by Cape Cod BBQ. About 4 hours before you plan to cook the pork, rub with the oil, then the dry rub. Cover tightly with plastic wrap or place in a large Ziploc bag. Refrigerate. About an hour before you plan to cook, place the pork on the counter and allow to come to room temperature. Heat the grill or smoker to 375 degrees. Spray the grate with nonstick cooking spray and add the tenderloin. Grill, turning once, until the internal temperature reaches 140 (about 25 minutes). Remove from heat and cover with foil. Allow to rest for 10 minutes or so before slicing. While the meat is resting, combine the Dijon and the syrup to make the sauce. Slice the meat and serve with the sauce on the side.